Sustainable business models for the deep renovation of buildings. STUNNING's goal is to identify and promote innovative packages for renovation to accelerate their acceptance by the market players and consumers and increase the renovation rate in Europe. Data on integrated and adaptable solutions, combined with innovative business models which allow consumers and the market to invest with confidence, will be collated, synthesised and analysed so as to select, fine-tune and validate the most promising ones. Support the growth of a diverse stakeholder community around a web-based knowledge sharing platform (KSP) addressing technology and business models for refurbishment in EU28. The Knowledge Sharing Platform aims at sharing and promoting the new knowledge generated by EC-funded, national or private initiatives in the field of energy efficient building refurbishment, both from the technological side and the business model side. Our project will engage with the community of stakeholders and accelerate the adoption of new business models for energy-efficient buildings based on integrated, adaptable and affordable refurbishment packages. Are you a representative of the industry or a SME from the construction sector? Do you work for energy utilities or capital providers? Do you represent a municipality or a local authority? Are you a building or home owner, or a tenant? Come and join our stakeholder community and register as a follower, expert or ambassador! Attending @EUScienceInnov Workshop on Support Actions for European Technologies today? 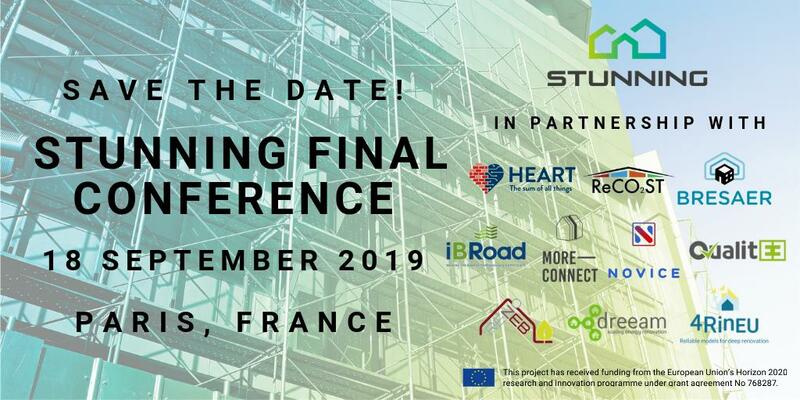 Don't miss the chance to discuss with our coordinator @KarineLaffont_E of DOWEL about lessons learned in the field of energy-efficient renovation/refurbishment of buildings! please register in the box below. Thank you! This project has received funding from the European Union’s Horizon 2020 research and innovation programme under grant agreement No 768287.